Seven spice is traditionally used throughout the Middle-East, comprising from (all spice, black pepper, clove, nutmeg, cardamom, cinnamon, dried ginger). All these spices go very well with roast meats. Dates round off the sauce with a light sweetness. View the full recipe below. 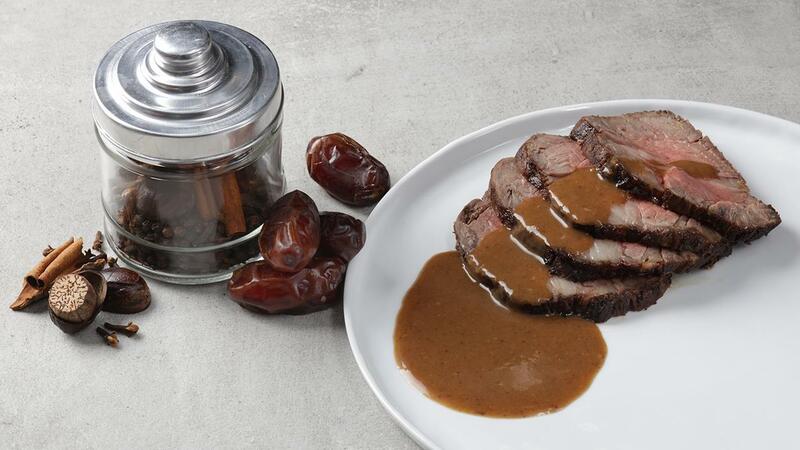 Prepare Knorr Demi-Glace Sauce with water before adding dates, blend with hand blender before adding to onion mixture and finishing with cream.